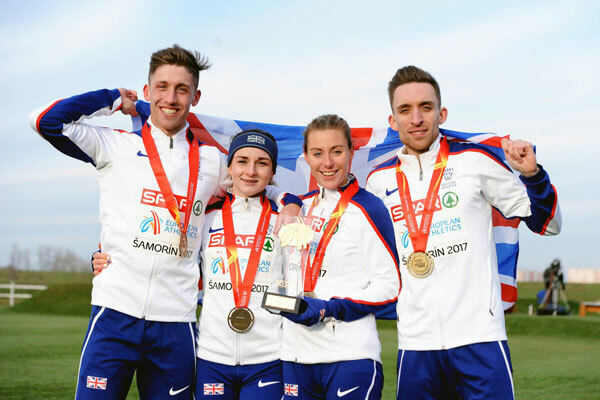 Samorin – Late replacement, Tom Marshall, led Great Britain to an historic gold medal in the inaugural mixed relay at the SPAR European Cross Country Championships. 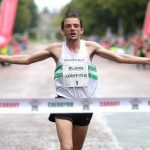 But Great Britain had already established a lead of four seconds on Holusa on the final changeover. With 300m left, Marshall began to tire a little but he – and the British team as a collective – opened up enough of a buffer, allowing Marshall to celebrate ten metres from the line as Holusa picked up speed to get ahead of the Spaniards. 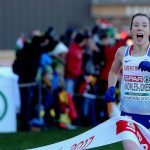 Melissa Courtney, Cameron Boyek, Sarah McDonald and Marshall won by one second in 18:24 as the Czech Republic banked their first medal in the history of the European Cross Country Championships. They were led off by Simona Vrzalova who handed on to Filip Sasinek and then Kristiina Maki before Holusa brought them home. oyek handed on to McDonald with the clock showing 9:37 from the Czech Republic and Spain in the same time before the lead at the bell was four seconds. 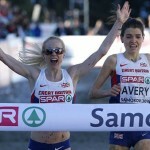 McDonald was timed at 14:18 from Maki at the last change and it was Britain’s to lose.